Refusing to apologize to the Air India official whom he allegedly thrashed, Shiv Sena MP Ravindra Gaikwad on Saturday said he would only tender an apology from Parliament for disrespecting its dignity. 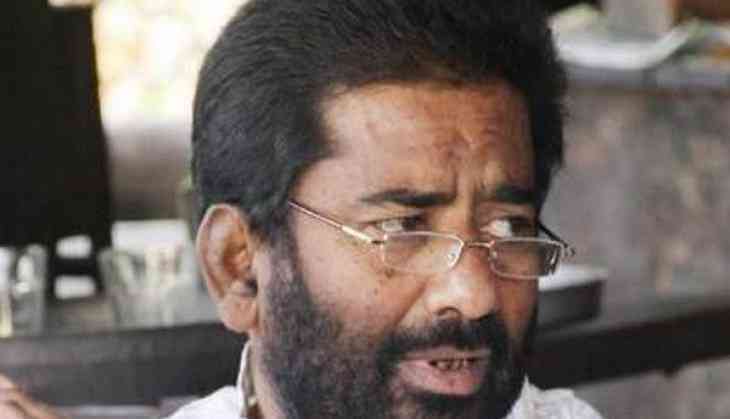 Asserting that it was a small conflict, Gaikwad said the staff of the airline is mad and around eight such cases of indulging into brawl have been registered against him. 'The Air India staff had started the conflict. It was his fault why would I apologize. I will apologize to the Parliament if my action damaged its dignity. It was just a small conflict. The staff is mad and around eight such cases of indulging into brawl have been registered against him,' Gaikwad told ANI. He further said that the flying ban imposed on him was not right as no airline can bar any flier. Gaikwad further said that his complaints were not addressed, adding that if this was Air India's behavior towards a people's representative than what it would be towards a common man. National Carrier Air India yesterday lifted the ban on Gaikwad after a request from Civil Aviation Minister Ashok Gajapathi Raju. The development comes a day after the Shiv Sena MP tendered an apology to the Civil Aviation Minister, expressing regret over the incident. Air India earlier on Thursday announced that it had canceled Gaikwad's Delhi-Mumbai round tickets for April 17 and 24. However, Gaikwad said that he booked a ticket neither for April 17 nor for April 24 for any airline as being aired by the media. 'It is learned through media that I have booked the tickets for Air India to travel from Delhi to Mumbai for 17 and 24 April and my defaming is continued. On this connection, I would like to make it clear that I have neither booked a ticket for 17 nor 24th April 2017 for any airline as being aired by media as the session will be sin-e-die on 13th April 2017,' Gaikwad said in a statement.